Nan is captivated by the music hall phenomenon that is Kitty Butler, a male impersonator extraordinaire treading the boards in Canterbury. Through a friend at the box office, Nan manages to visit all her shows and finally meet her heroine. Soon after, she becomes Kitty's dresser and the two head for the bright lights of Leicester Square where they start an all-singing and dancing double act. At the same time, behind closed doors, they admit their attraction to each other and their affair begins. But as their relationship becomes passionately all-consuming, it threatens to be the ruin of all of Nan’s ambitions. 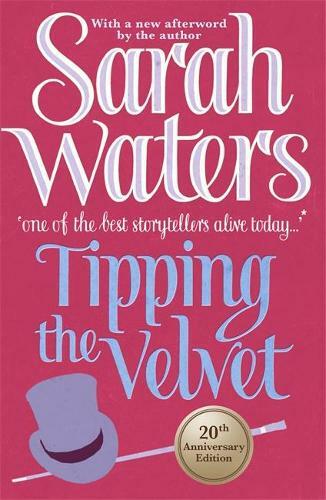 A bawdy, vaudevillian delight of a novel, Tipping the Velvet launched the career of one of Britain's most exciting and successful writers, described as `one of the best storytellers alive today' by the Independent. Tipping the Velvet was adapted by Andrew Davies and filmed by Sally Head Productions for the BBC.